As smartphones and other digital devices get smarter and more numerous — and as the applications they run generate ever more data — the wireless network that connects them must change to keep pace. That’s why telecommunications giants like Verizon, AT&T, and Sprint are racing to roll out the fifth generation of wireless network technology. 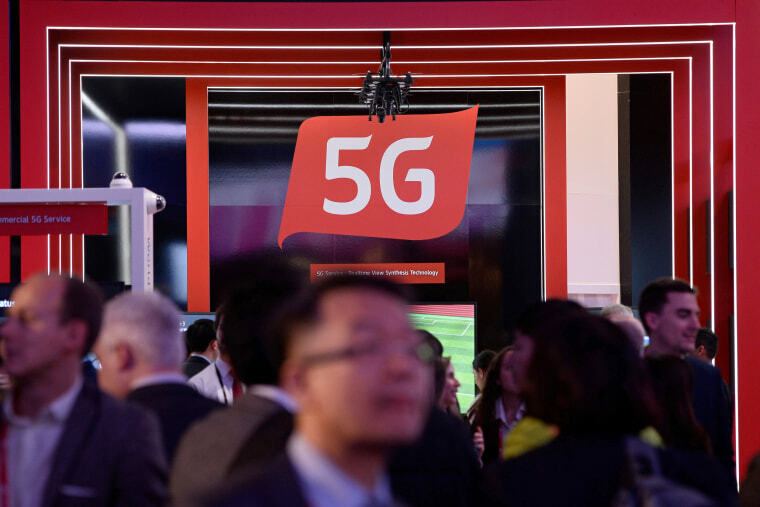 Although some have criticized 5G for its high projected cost, there's wide agreement that the emerging technology will bring faster, more reliable connections for users. It could also provide the extra bandwidth needed to create what's being called the “Internet of Things” — a network that links not just phones and computers but also robots, cars, and all manner of sensor-equipped consumer products and infrastructure. 5G could even usher in a new era of “smart cities” in which energy grids, traffic signals, and emergency services are linked to reduce inefficiencies. The fifth generation of mobile communication networks. Most consumers now use 3G or 4G/LTE networks, which were introduced to the public in 2001 and 2009, respectively. AT&T shuttered its 2G system in early 2017. Verizon, T-Mobile, and Sprint have said they’ll continue to operate their 2G networks through 2019, 2020, and 2021, respectively. What advantages will 5G offer? Each new generation of wireless technology has brought faster, more reliable cellular and internet connections. In the 1980's, first-generation technology made communication via cellphone possible. The next generation, 2G, allowed for more efficient and secure phone calls, and introduced mobile text messaging. 3G ushered in the smartphone era, and 4G/LTE gave us the high-speed connections that make it possible to stream high-definition video on our phones. Faster speed: Data transfer speeds are projected to be about 10 times higher with 5G than is possible with 4G. That means significantly faster transmission of images and videos. With 4G/LTE, downloading a high-definition movie might take about 10 minutes. With 5G, it should take less than a second. Shorter delays: Though it’s not always noticeable, there is often a brief lag in time from when data is sent to when it’s received. 5G should reduce this so-called latency, making it possible, for example, to watch high-speed virtual reality video with no delays or glitches. Increased connectivity: Cell towers equipped with 5G technology would have greatly increased capacity over 4G/LTE. That means more people — and more devices — should be able to communicate at the same time. Just as 2G phones couldn’t connect to 3G or 4G networks, today’s 3G and 4G/LTE phones will be unable to connect to a 5G network. So experts predict you’ll need a new phone. The cost of a 5G phone is unclear, but monthly 5G service is likely to cost more than 4G/LTE service. Samsung and Intel debuted 5G technology at the Pyeongchang Winter Olympics, where it was used to stream live VR coverage of sporting events. AT&T, Sprint, T-Mobile and Verizon are continuing to develop and test 5G technology and expect 5G service to be available in some U.S. cities later this year. Access to 5G is expected to expand dramatically in 2019.